hi guys and thanks in advance. I encounter this problem 21 and i couldnt solve it. my answer is so wrong.can anyone guide me on this? Browse other questions tagged vector-spaces tangent-spaces or ask your own question. 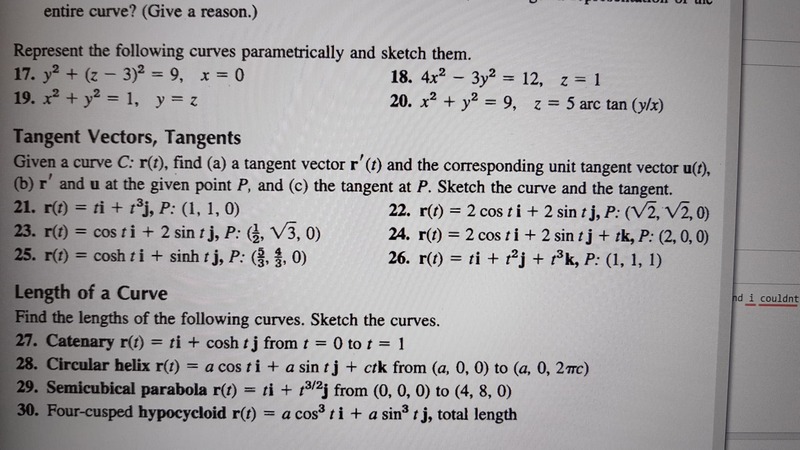 Determining a vector that is perpendicular to only one given vector. 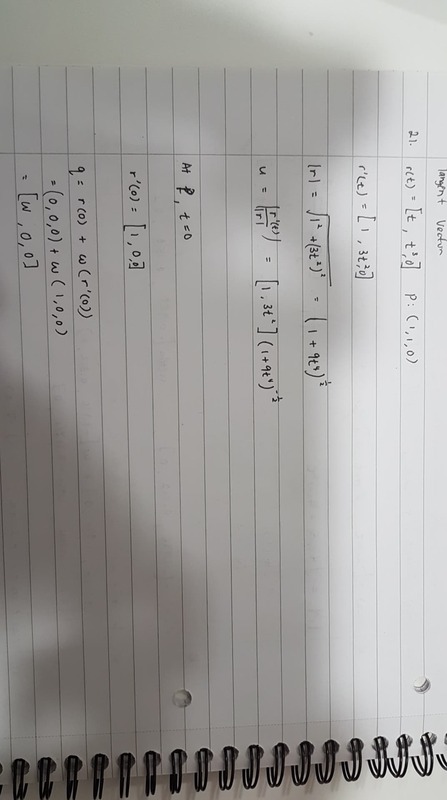 Is this set of vectors linearly (in)dependent? How many bases can a vector space have?